It all started in New York City when Elevacao CEO and founder Marisa Warren met Karen Jacobsen, the Australian voice of Siri in your iPhone & GPS devices, in an elevator. 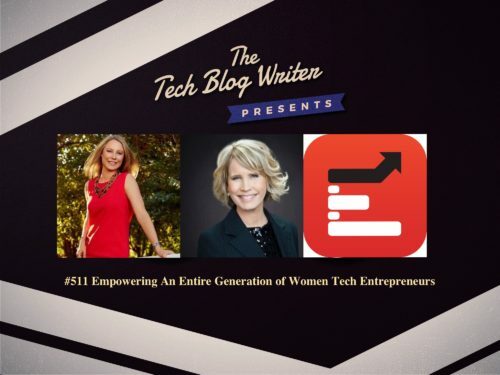 What followed was an inspirational story and friendship that resulted in them both focusing on empowering more women tech founded businesses to get funded. Did you know that only 3% of tech companies are founded by women, yet when funded they deliver 35% higher ROI than male-led firms. Marisa and Karen joined forces to empower women in tech. Their mission is to empower women entrepreneurs to build successful, innovative technology businesses, while creating collaborative environments where a woman’s ambition to succeed is embraced and actively supported by both women and men. Their programs are designed to empower and promote women tech entrepreneurs. Lead by a team of experts; they empower women tech founders to get the pitch ready. Thye also help them build and deliver a superior pitch that conveys their story and creates an emotional connection with the audience, backed by a robust business model and go-to-market strategy. In front of a live audience, women pitch to a superior panel of seasoned entrepreneurs, VC’s and angels seeking advice, guidance or funding, to help elevate their business to the next level. A workshop designed to empower women tech founders to get investor ready. With experienced global investors and entrepreneurs, they help their women understand the investor process from initial pitch through to closing the investment round. With a focus on selecting the right investor for their business. On today’s podcast, I learn more about the revolution that is transforming the culture and DNA of an entire generation of women. Marisa is a global start-up advisor, investor, social entrepreneur and speaker, who is incredibly passionate about elevating women to higher levels and building a collaborative tech ecosystem. As an entrepreneur, Marisa has built three global businesses from idea stage to revenue producing and worked in Australia and New York for companies such as SAP, Microsoft, and Workday. Affectionately known as ‘Australian Karen’, the Australian voice of Apple’s Siri, you will have also heard her voice on Tom Tom, Navman, Garmin and Mio navigation. In fact, Karen’s speaking voice is in over a billion GPS devices and phones worldwide giving directions. Through her empowerment brand The GPS Girl®, media appearances, live events, books & thegpsgirl.com Karen entertains, energizes and inspires people who want to create a path and a plan to get more of what they want, whether in life or in business.